This interview with eBay’s Michelle Leung was conducted and condensed by Hannah Leung of EntrepreneurHK (EHK). eBay’s Michelle Leung talks cross border trade and the future of Hong Kong’s e-commerce market. Launched in 1995, global e-commerce company eBay needs little introduction. With operations in over 30 countries, eBay’s self-dubbed title as the “world’s online marketplace” is apt. Hong Kong serves as an important market for eBay, bringing thousands of local sellers onto its online marketplace and helping them reach global consumers. 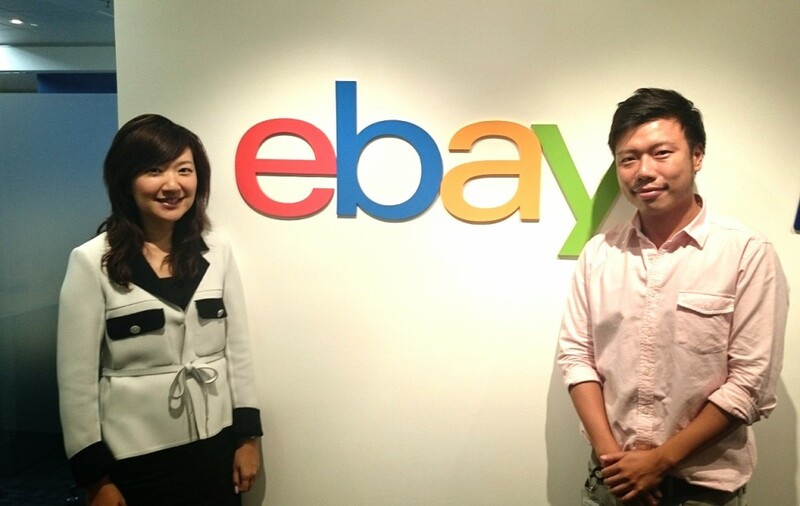 EHK sat down with Michelle Leung, eBay’s General Manager of Hong Kong Cross Border Trade. Leung previously worked at Getty Images Hong Kong and Google Hong Kong. After studying in Canada and working in the U.S., Leung received an EMBA degree from Fudan University. Jun Lam, eBay’s Program Manager in Hong Kong also joined the conversation. RSVP here for eBay’s Free Event: ‘How HK Startups Can Sell Globally on eBay’. What’s eBay in Hong Kong like? What is the most popular buying category? Michelle: Hong Kong sellers are very successful. For example, in Hong Kong, we send one item to Maldives per hour. People are buying all sorts of things. Our most popular categories are photo equipment, mobile phones, computers and accessories, clothes, watches, second hand luxury handbags, video games. Home & Garden also does quite well. A lot of our customers who buy online are re-sellers. How is eBay differentiating itself from China’s giant e-commerce companies, namely Taobao (owned by Chinese Internet conglomerate Alibaba)? Our focus in Hong Kong is helping local entrepreneurs selling to worldwide. Every single day, Hong Kong is selling to 240 countries. We have our own policies governing product categories. Our system emphasizes trust, value and selection. eBay believes that people are good at nature. How can SMEs and start-ups use eBay as a platform? Michelle: Nowadays SMEs have the power in their hands to leverage the internet. Using eBay as an example, we are a platform where our sellers can make a difference by doing different things to attract their buyers. We have many successful SMEs involved. We have a lot of sellers who start part-time – similar to a start-up concept – they get successful, quit their jobs and then grow to hire 100 people. We also have university students. For example, a lot of people might start selling on eBay to cover their college fees, whether it’s selling their books, unwanted furniture or what not. On eBay we have an entrepreneurial spirit. We encourage a lot of SMEs to use eBay as an online channel, because that gives you a direct experience. Jun: We are trying to build up a community experience. it’s an experience that can start when you’re young – you have something at home, you don’t want it, you sell it. Or you can start a business on eBay, start sourcing from China, and sell it globally. So how can a start-up or SME successfully develop their business on eBay? 1. Education: Learn how to sell right. We do start up talks and panels, so we also encourage people to leverage us and join our community. 3. Take great pictures, use different angles – this is so important! 4. Description: Make it sound appealing. 5. Customer service: Reply to buyers promptly. Ship a product promptly. Packaging is important. « Bitspark’s George Harrap: Why Bitcoin Is Big Business?